When a well-known skincare brand announces that it’s bringing out a professional line with professional results, it’s a point of interest. When well-known skincare brand points out that its results are backed by a long-term, independent clinical study that’s been published in the British Journal of Dermatology – it’s a point of slightly more significant interest. You can keep your Thandie Newtons, show me the clinical studies!!! Though to be fair, better dumb ’em down a bit, I only got a C in my GCSE Double Award Science. The study involved a panel of women aged between 40-65 who tested the regime over a 6 month period against a leading anti-ageing prescription ingredient. The study showed that the new Olay Professional range was as effective as the prescription ingredient, Retinoic Acid (the most powerful form of Vitamin A) at reducing the appearance of wrinkles. If you want to find more about this study, there’s an article on cosmeticsdesign.com that you may be interested to read. In celebration of the launch, Olay will be opening the doors to a temporary clinic where you’ll have the opportunity to pre-book for a free one to one consultation with a skin expert from the world of dermatology. The Olay Professional Clinic will be open to the public for three days only (28-29 June and 1 July 2011) at 18 Maddox Street, Mayfair, London from 10am-5pm. If you don’t want to pre-book, you can still drop by to receive a product demonstration by an expert beauty consultant, and relax in the lounge with an anti-ageing “mocktail”. To book, call the Olay Professional Clinic booking hotline on tel: 0207 611 3770 and register your details. 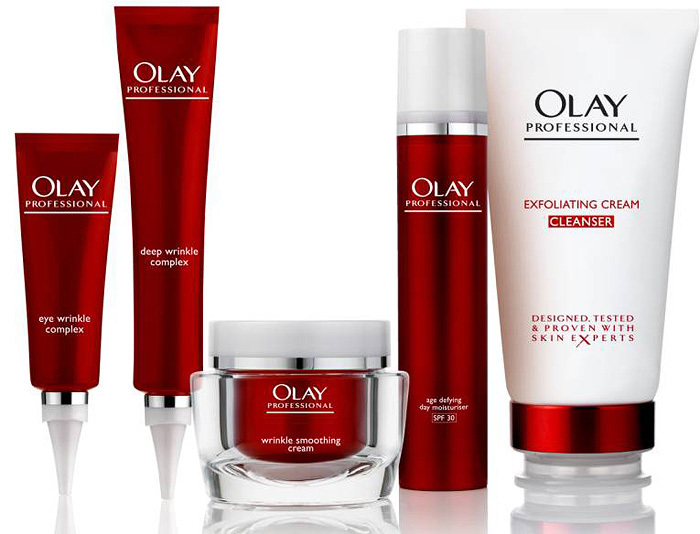 Olay Professional went live on the Boots website today on a strictly limited pre-sale basis with only 300 Olay Professional Anti-Wrinkle Kits available for purchase and I hear that over 7000 women signed up for the pre-sale. Scary stuff! The full, nationwide launch is scheduled for August. Do you feel like you’ve seen it all before or are you more likely to be interested by products marketed around the results of their clinical trials? I always like it when companies have done some proper clinical research/trials. Sadly (or not so sadly really) I am not in any need for anti wrinkle products just yet! I’m only 23 so not really in the market for anti-wrinkle products, but the cream cleanser looks interesting. I’m always on the hunt for a cheaper alternative to Liz Earle..
Oooooo! I blogged about this the other day and i have to say i am super excited about it! I missed out on grabbing some from Boots (too bloody slow) but will definitely be investing in August!